...Don't knock it 'til you try it? Here in the United States, we like to snack on cookies, potato chips and Gatorade. Ever wonder what the rest of the world turns to for a quick munch? 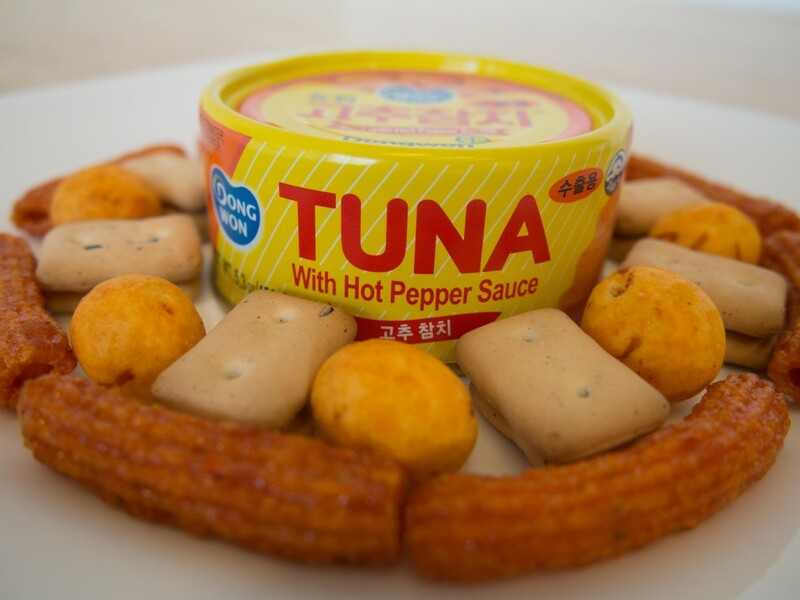 These snacks and drinks may seem absolutely bizarre to the average American, but every Korean will recognize them as foods from his or her childhood. Dubbing itself a “new feeling of soda beverage,” Milkis combines traditional soda elements with a milk flavor. The result is a creamy, sweet and bubbly carbonated drink; it has an additional richness from the milk that is both perplexing and strangely delicious. It is sold in several different flavors, the most popular ones being regular milk, strawberry and banana. This Korean spin on a canned food staple has become a symbol of both busy students and those living alone. It is similar to canned tuna found at any US grocery store, just with a spicy twist– the chunks of tuna are drenched in a hot, oily pepper sauce. In Korea, it is commonly eaten along with white rice for a quick meal or combined with other dishes for an extra handful of flavor. 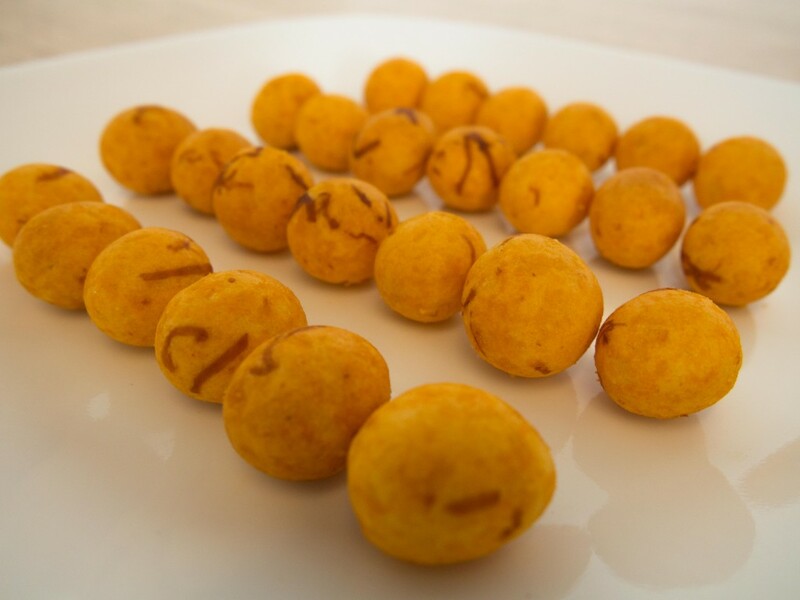 Though they may look like innocent, sweet treats, squid-peanut balls will shock you with their surprisingly savory flavors. The initial seafood aroma comes from the outer shell of the snack, which is balanced out by the nutty center. The combination of squid and peanut may cause initial repulsion to some, but these have been a constant favorite to those with salty cravings. 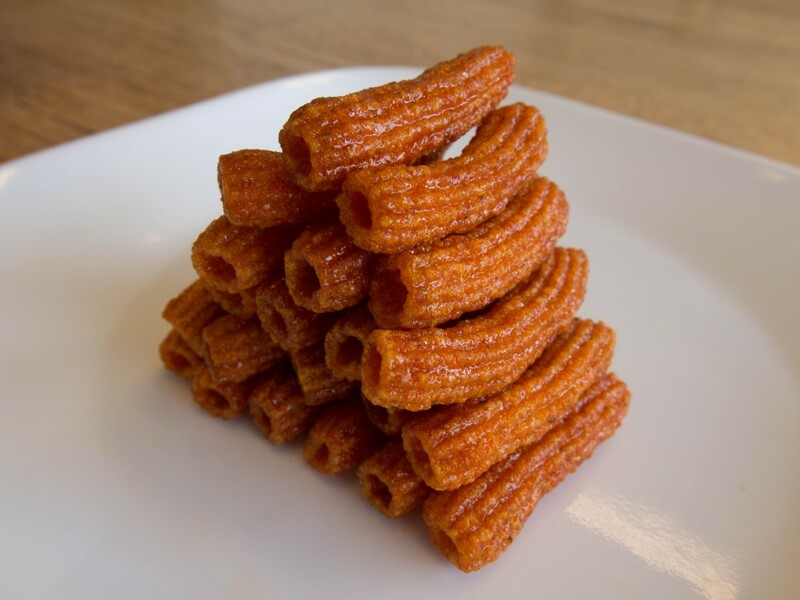 One of the most popular street foods in Korea is ddeok-bokki, which literally translates to “stir-fried rice cake.” Made of cylindrical pieces of rice cake in a hot pepper paste sauce, it is a common, cheap snack for many students in Korea. These Sindang-dong Ddeok-bokki Chips attempt to recreate the flavors-and even the appearance-of the traditional dish into a grab-and-go bag of crackers; they provide the same spicy coating, but instead, it exists on a set of crunchy chips. 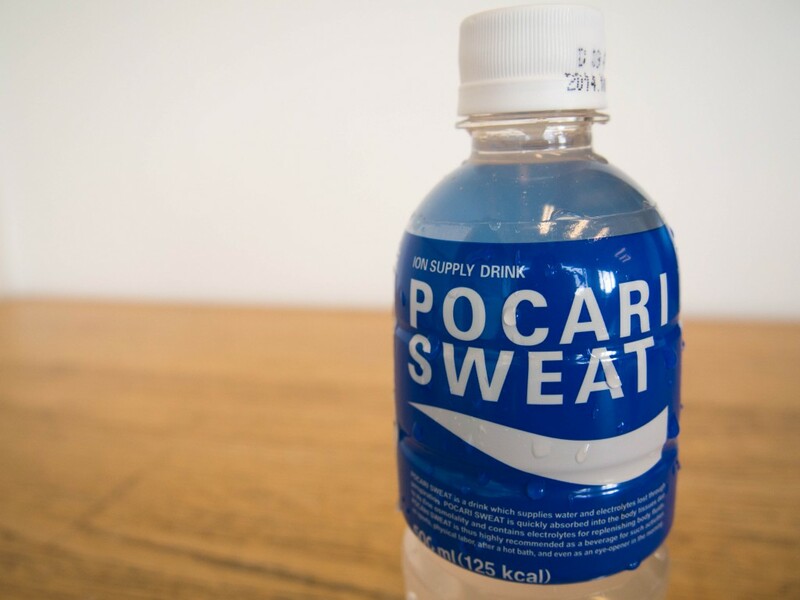 Although produced by a Japanese manufacturer, Pocari Sweat has grown to become one of the most popular drinks in Korea. The beverage was originally marketed as a sports drink that replaces the electrolytes lost in sweat (hence the brand name). A sip of Pocari Sweat has a slightly fruity flavor, combined with a sweet and tangy sensation often produces polar reactions among drinkers. Known as Hardtack in some English-speaking countries, gun-bbang was introduced to Korea during wartime to provide sustenance to soldiers in a convenient manner. 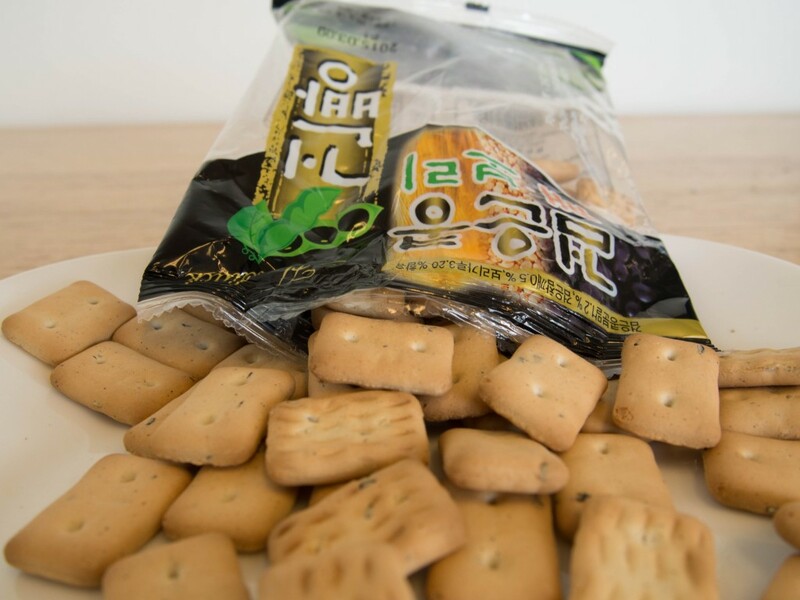 “Gun-bbang” in Korean translates to “dry bread”; these square crackers are packed with nutrients and are famous for being inexpensive and long-lasting. Often packaged with star-shaped candies, its audience has now grown beyond just soldiers– since its introduction to Korean, gun-bbang has become a national snack for all.